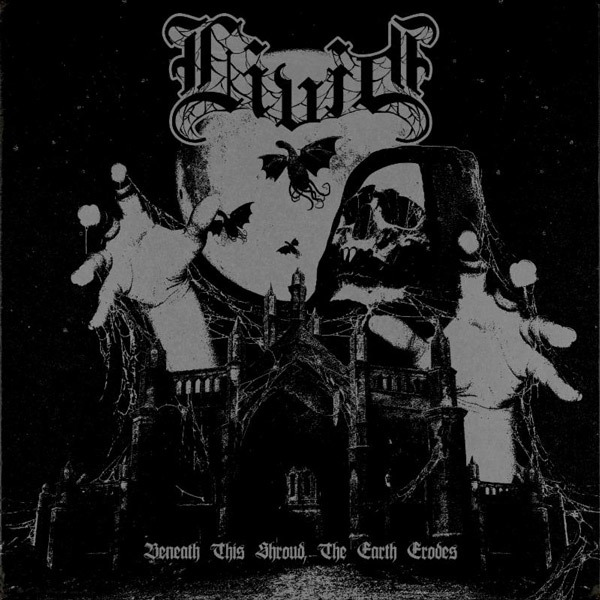 "Beneath This Shroud, The Earth Erodes"
One of Prosthetic Records' newest signings - experimental doom band LIVID - will release their upcoming album "Beneath This Shroud, The Earth Erodes" on July 14. The album will be available on all digital platforms, digipack CD and a limited edition transparent purple LP. The artwork was created by Cryptworm (Bell Witch, Cough) is available for pre-order now: smarturl.it/LividMN. To coincide with this announcement, LIVID have teamed up with Invisible Oranges to reveal another crushing new track "The Fire." Guitarist/vocalist Cole Benson says: "We worked on "The Fire" for over a year. It was the most challenging song to get right, we tried different lyrics, vocal melodies, and guitar lead lines before we got it perfect. I remember hearing the test pressing for first time and freaking out with excitement when "The Fire" came on." Bassist Chad Padelford adds: "We put a lot of work into that song. Day of, we we're still changing and adding parts. The outro was done on the fly. As we were ringing out the end of the song, we weren't sure how we were going to end it, when Cole just kept playing. It was so spontaneous and genuine. It was perfect." LIVID represents a means to play heavy and destructive music in an attempt exorcise all the anger, depression, and disgust with life and the world. Minneapolis dwellers Cole Benson, Chad Padelford and Tim Leick first got together in 2013 playing instrumental post rock. It wasn't long after that the three's influences of Eyehategod and the Melvins, Boris and Tool & Evoken and Mournful Congratulation began to manifest naturally through their music, creating a more sonically cathartic endeavor. LIVID was born after that.